Gone are those days when you contact the developers for the development of your site or you have to deal with HTML code. With growing technology, it has become easy to design a website as per your requirement because of the availability of free CMS and another tool like site builder and more. If we talk about CMS then the first name that comes’s in your mind is WordPress, right? As it is the best CMS and used by billions of the users worldwide. WordPress is the best option for all types of business whether it is a photographer, designer, business consultant, cooking, web hosting, etc. Designing an attractive WordPress blog design is the foremost task that helps the user to engage and increase the traffic of the website, however, setting up a website is simple, but other visual aspects are needed to focus for grabbing the attention. But most of them fail to meet the requirement and to overcome such problems this post will help you with the necessary tips that you can use to make your WordPress site appealing. Hosting is an important element that adds more value in making your website more appealing to the user and search engine. This is because, if your website is live 24*7 then it will help the users to know more about your business and this is possible with the help of WordPress Hosting provider. Looking for WordPress Hosting India? Then check MilesWeb hosting!! As they offer three plans powered by Jetpack premium starting from Jack Rs. 438.75/ mo and continued by Queen and King. Get the plans as per your requirement and host your website with MilesWeb. For the professional look, you need a superior theme for an immediate call to action of the customers and make them understand what is your business all about. WordPress offers free as well as the paid themes among which you can choose a WordPress theme as per your need. In addition, the colour of the theme plays an important role as it will represent the business publicly. However, selecting darker shades is the best option for a professional look, whereas selecting a light shade is right for the textual content. If you are a web developer or designer then follow popular design trends and update threads depending on your niche. Avoid using a theme that is not updated for a long period of time. Due to the heavy theme, it usually happens that site loads slowly and this results into loss of potential from the website. As per my suggestion, you can install W3 Total Cache plugin to improve the speed of download or you can use fast loading WordPress theme. Check the speed of the website using free tools like YSlow or Google Page Speed, GTmetrix and more. SEO is an important feature in digital marketing and it is equally important to optimize your website for search engines so that customers will find you. If you are targeting a specific area then SEO is must for that particular area to bring your site up in the search engine. For e.g., you are a photographer in Nashik. Then it is your responsibility to get your site listed for the Nashik location in search engine for the keyword “wedding photographer in Nashik”. For easy optimization, you can install the WordPress plugin called All in One SEO Pack or Yoast SEO plugin. This plugin helps to optimize the structure of the site by correcting the titles and description of the website page. In addition, there are multiple tasks which you need to perform such as adding the right keywords for the images, internal linking of pages, adding sitemap and more. Effective writing assists the visitor in the text form and makes them understand what you have to offer and convinces them to buy from your site. Most of the freelancers and business owners are making minor mistakes like for e.g., talking more about themselves instead of talking about customer needs. Instead of this, you can convey the benefit of your products and services. In short, follow “keep it simple” formula. 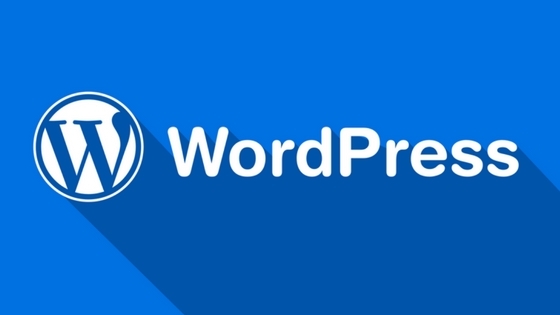 WordPress is not limited to blogging, but it is known for publishing the content. If you are looking to start a WordPress for publishing the content then you are on the right track, because interesting posts can attract huge visitors to your website. However, if we talk about SEO then the blog will contribute to the huge extent. This point is essential because you have to invest your time and money on your website for better results. However, WordPress is famous for simplicity and easy availability of themes and plugins can help you to design a website at the next level. Looking to migrate your website to a reliable hosting provider, check Unlimited Hosting plan of MilesWeb!! Here at this point, I will cover other essential points like themes, fonts and photos. WordPress has offered you everything to make the website worth and it is your choice whether to get it free or paid. By concluding, I assume that you must have understood how you can make your WordPress site appealing by using resources offered by WordPress. If you have tried any other tip for your website then do mention it below in the comment box. WordPress is quite easy and used by a maximum of the websites these days. Yes Rahul. Easy to manage.